Whenever possible, I #choosethebike when getting around. But since my wife and I couldn’t use bicycles to travel from Stamford, Connecticut to Redwood City, California in ten days, we took our Honda Element. I brought a bike, she brought a sketchbook. Here’s what we did: for context, this adventure began two days after I gave away the Bikeducken and one day after we sold our Stamford house. 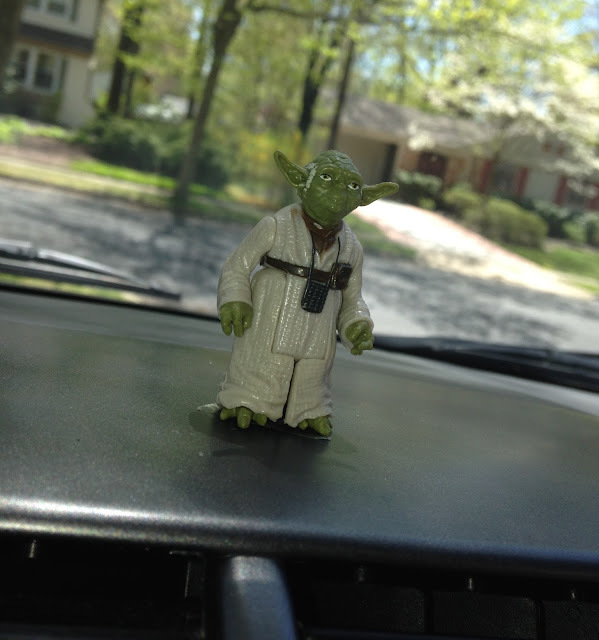 After I started the engine in Connecticut for the last time, I stuck a Yoda action figure on the dashboard for morale. Getting here was the shortest leg of the trip but the most emotional. We had just said goodbye to my parents, signed the closing documents related to the home we had lived in for almost ten years, and headed off to my wife’s parent’s house in New Jersey to spend the night. Spending the night in New Jersey means biking off for coffee in the morning. 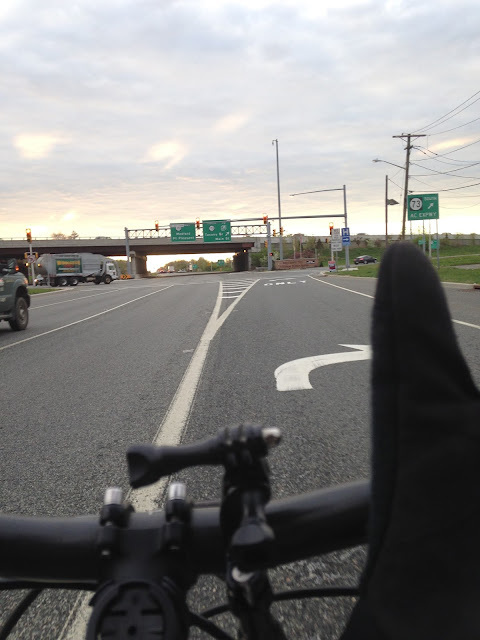 From the point of view of a cyclist, Cherry Hill is a collection of busy roads crisscrossing a grid of strip malls. I can assume the town is very old and was built before left turn technology was available. I refer of course to the ‘all turns’ lane that forces drivers who want to turn left to loop right. Like most other ideas connected to improving The Flow, it may have seemed like a good one until cars outgrew the place. The design is just plain hostile, or at best unwelcoming, if you’re a cyclist. I had set a promise to myself to ride a minimum of five miles a day every day I was driving. I brought only one of my bikes - the mountain bike I had built myself - and had to remove it from the interior Honda Element bike rack I made and attach the seat and front wheel each time I wanted to take a ride (the car was crammed full with stuff we didn't want the movers to put in storage). With the seat set high (no off roading to be done in Cherry Hill) and the sun just coming up, I set off in search of an independent coffee shop. And Cherry Hill delivered in the only way Cherry Hill can. This abandoned shell was found between Dunkin’ Donuts two and three (and it was at the third one - not four miles from where I started - I gave up on looking and settled for What A Marketing Person Says America Runs On. It made me miss Lorca and realize that the more car centric a city, the less friendly it is to independent businesses. At least I had a chance to stretch my legs. I returned to the house and put the bike away, where we visited with her parents a few more hours before setting off to Cleveland - a city I am always excited to bike in and is really the anti-Cherry Hill in terms of design. The drive from Cherry Hill to that was endlessly long but worth it. Upon arrival my wife and I ate an excellent dinner at Bar Cento (she sketched it) and then we walked to W. 25th Street to the new Mitchell’s Ice Cream. 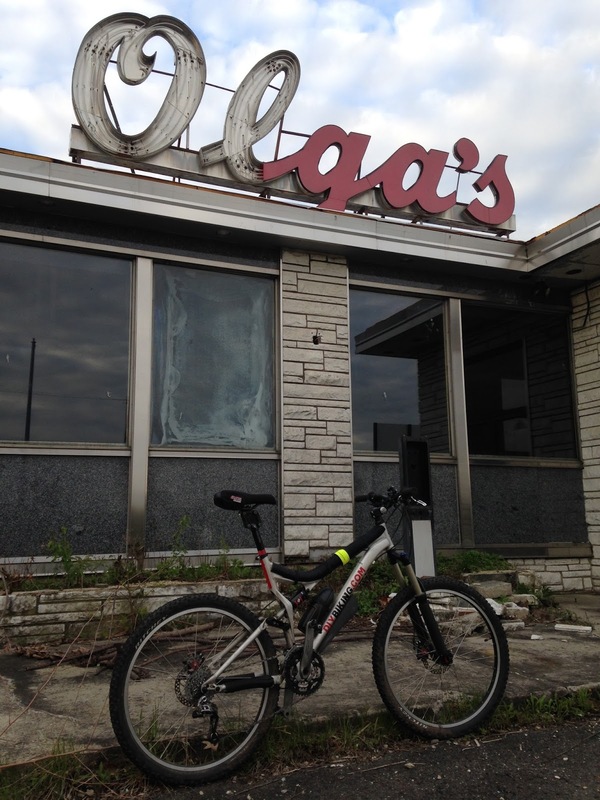 I reasoned I could work off the treat the next morning - and since I knew it would be my last time biking in Cleveland for a while I wanted to make the ride on Morning 2 count.